Protective Device Coordination is a key part of an Arc Flash analysis. OSHA, using NFPA 70E, sees Arc Flash Hazard as a serious workplace safety issue. The utility supplies electricity to facility substations (the top of hierarchy). The substations feed busways that distribute electricity throughout the facility (the middle of hierarchy). The busways power individual pieces of equipment: panelboards, MCCs, etc. (the bottom of hierarchy). What would happen if a fault occurred in the lower levels of your system? Say, a motor shorted out. When protective devices (circuit breakers, fuses, etc.) reacted to isolate the fault, would they remove power to just the motor? Shut down a major part of the system? Or maybe shut down your entire operation? If the answer is the second or third scenario, your protective devices aren’t properly coordinated. Time-Current Curve help determine the ideal settings for each protective device in the electrical system. interrupt electric service at the point of the fault only. The rest of the system stays “up-and-running.” A protective device scheme like this has what is known as selectivity. At a time when a few hours of downtime could easily translate into a million dollars or more of lost production, protective device selectivity is a goal worth pursuing. Computer modeling and analysis of your system, using the latest electrical analysis software for guaranteed study accuracy. 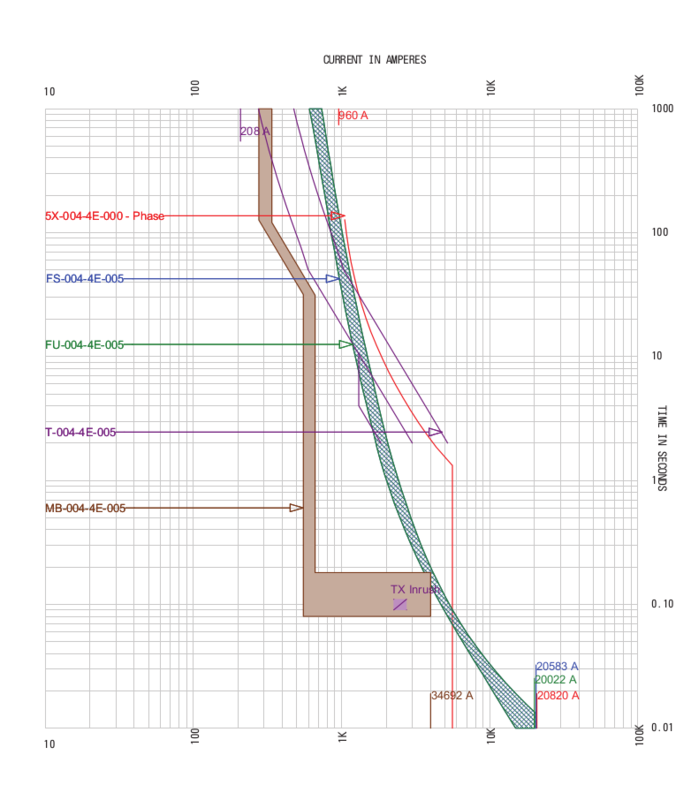 Time current curves (TCCs) that visually depict the existing and recommended settings of your protective devices so you can see how they are currently set--and how they should be configured to improve selectivity. A report containing all study data and TCCs, an up-to-date single-line diagram of your system, D.L. Steiner’s conclusions regarding your protective device scheme, and our recommendations for improving coordination. System faults don’t have to mean a total--or even partial--loss of production. A Protective Device Coordination Study by D.L. Steiner allows you to limit faults to the point where they occur so your system can deliver maximum service continuity and efficiency.